All unused, left over dental amalgam is considered to be toxic waste and has to be specially stored due to the mercury content – yet is considered ‘safe’ by some dentists and professional bodies when placed in your mouth. adverse physiological changes occur from that exposure on the immune system, kidneys, reproductive organs and brain, as well as the oral and intestinal flora. Read more in ‘The scientific case against amalgam’ published by The International Academy of Oral Medicine and Toxicology. 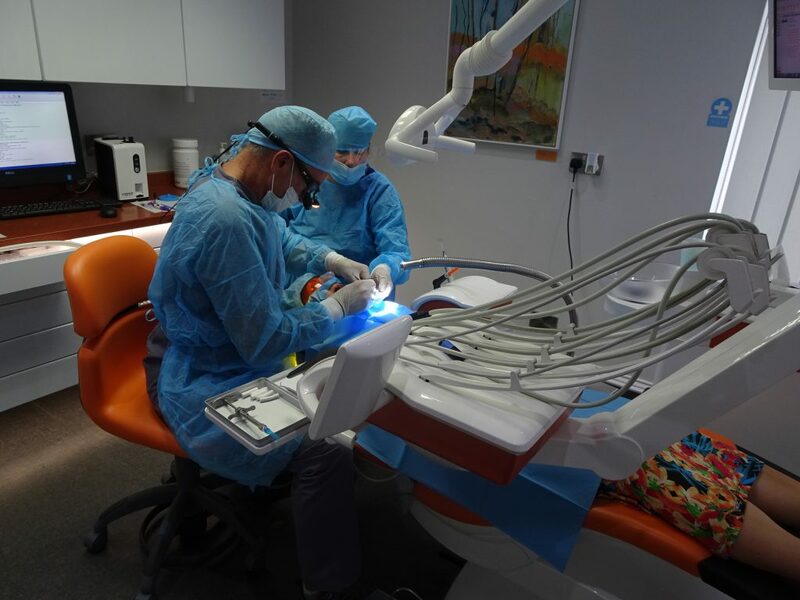 For these reasons, at Danny de Villiers Dentist, we are firmly of the opinion that dental mercury amalgams should not be used as a filling material, and we have not placed an amalgam filling for over 20 years. There are better alternatives available today from a functional, aesthetic and biocompatible standpoint and these can be chosen to suit the individual circumstance. Materials that we use include composite resin, porcelain and zirconium (all tooth-coloured). Replacement of Amalgams: We at Danny de Villiers Dentist adhere to the ‘SMART’ (Safe Mercury Amalgam Removal Technique) protocols as laid down by the IAOMT (International Academy of Oral Medicine and Toxicology). Protecting the patient: Air filtration, Skin and clothes coverage, Cap, External oxygen supply, Charcoal/Chlorella slush(Optional) , Protective eye wear, Saliva ejector and Clean Up suction, Aerosol vacuum in place, Lots of water and special amalgam removal burs. Protecting the staff: FFP3 masks, Gloves and Face shields. Protect the environment: Amalgam separator in place so that no amalgam gets into the waste water. Please ‘contact us’ to arrange an appointment if you would like to find out more about reducing the amount of mercury in your life. We will help design a program based on your individual needs, general health and desired time frame.